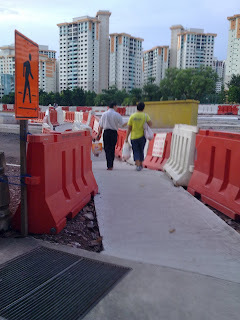 Singapore has a lot of construction sites nowadays. We can say that the place is really booming with it's economy reaching high above the clouds. 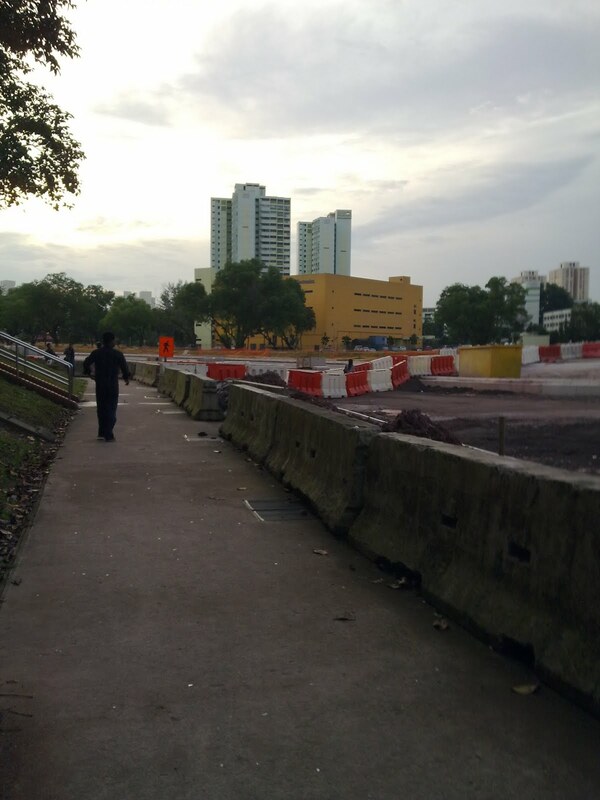 I was on my way home from work, I was passing by a construction site, which is near the roadside. I envy their way of putting pedestrians and motorist in their safety priority list. I have been involved in some small construction in the Philippines, but we seldom practice these kind of things or never had. 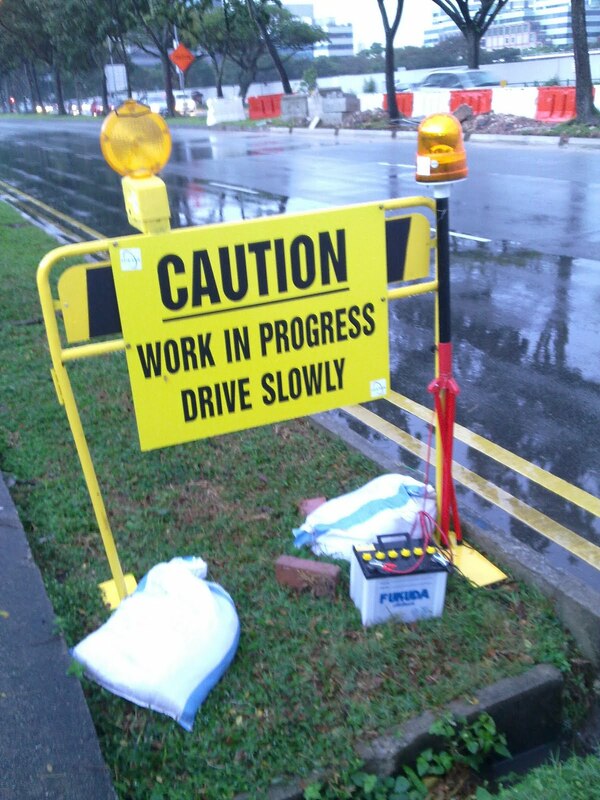 As a motorist, road signs are so helpful, which gives us a warning that construction is on going. Look at the picture and notice the battery down to the ground. If it is in my country, that will disappear few minutes later and found sold at the second hand stores. As a Pedestrian, walking is easy along construction sites. As far as safety is concerned, we don't have to worry. They placed a path of concrete and plastic barrier for us, complete with signs such as "This way to.."
Notice the temporary concrete path for the pedestrians at the photo below. After the construction, they will remove it clean. It will be considered as waste. I know that planning for a budget in construction includes this type of safety devices and precautions. Why can't Philippine construction firms do these as a standard even for a small scale works. The problem maybe is due to corruption, it's what people always say about it! Why I Chose Singapore to Work?